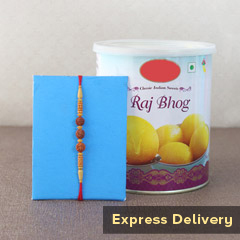 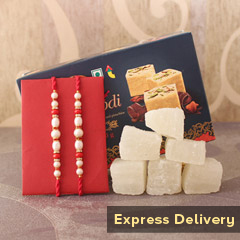 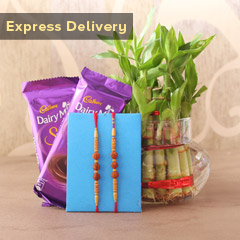 This one is an exclusive combo of two Rakhis, one for your Bhai & Bhabhi and the other one for your sweet little bro. 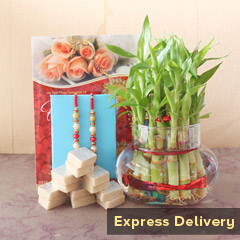 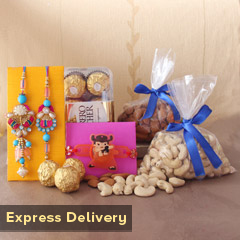 We will help you get your gift order delivered on time at the door step of your brother. 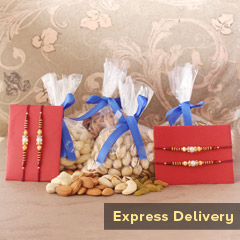 And, if you are late, our service will help you in the swiftest possible way.